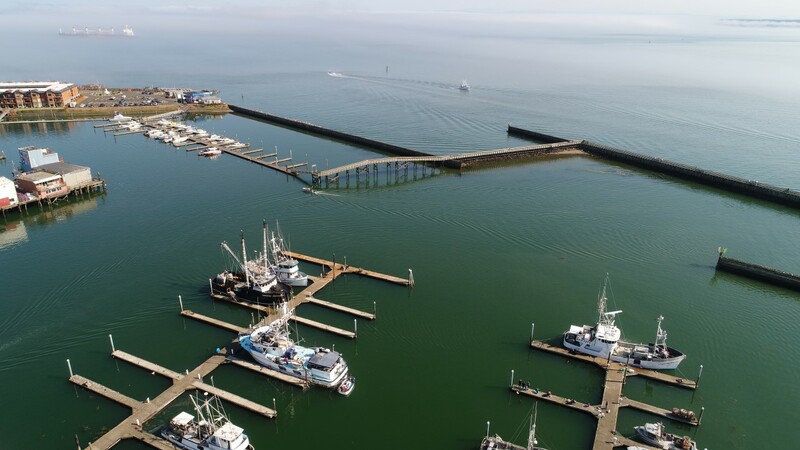 Wesport, Washington offers a first class fishing port for deep sea fishing, with the largest fleet of charter boats this side of San Francisco and has become the hot spot for deep sea charter boat fishing trips on the West Coast. 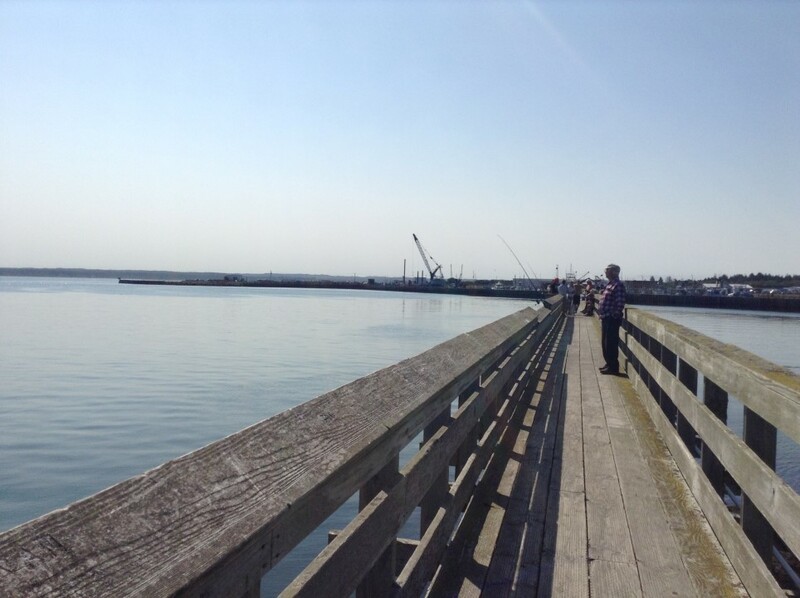 Located on the Washington Coast, Grays Harbor Beaches offers a variety of salt water fishing. 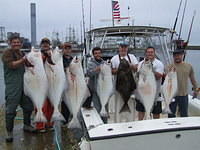 Westport, Washington boasts the title of "Sport Fishing Capital of the World". 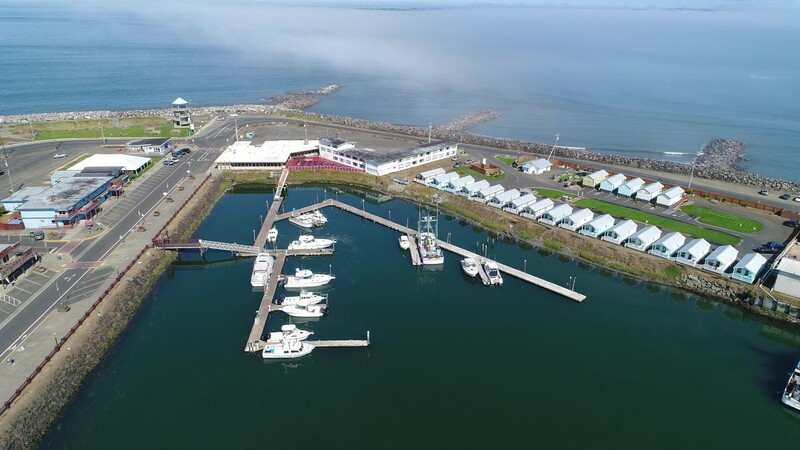 Westport, Washington has the largest fleet of charter boats this side of San Francisco and is considered the hot spot for deep sea charter boat fishing trips on the West Coast. People travel from all over the country to come and fish in Westport with the Westport Charters. There are a variety of trips that offer great fun for all ages and levels of fishing experience. Deep sea fishing trips provide an unforgettable experience for all ages. Fishing trips include both Chinook and Coho Salmon, Rockfish and Ling cod, Halibut, Albacore Tuna and Combination Trips. During the early spring months the charter boats offer whale watching trips. Salmon fishing is what Westport is famous for. 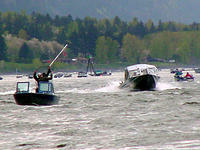 The Pacific Chinook or bait Coho Salmon season is announced the second week of April each year. Herring is used as fresh or frozen bait. Most charter boats leave between 5:30 and 6:00 am. Trips usually last about 8 hours or until the boat has limited. There are many days in which everyone on board catches their daily limits. Deckhands clean and bag the salmon (for a fee) and you can also have your fish vacuum packed, canned, smoked, stored or shipped by a local cannery. One of the many charter boats. 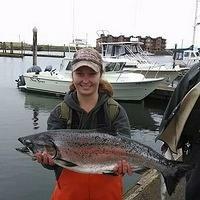 Coho salmon range from 4 to 12 pounds, growing as the season progresses. Whereas Chinook salmon usually range from 6 to 50 pounds. The bag limit is 2 fish per person. Contact your favorite Charter Boat Service or check the Washington Department of Fish and Wildlife website for current regulations and for season updates. Albacore Tuna are usually off our coast from July through mid-October. These warm water fish are known to put up a fight and extremely fast. Being farther offshore (60 to 100 miles) these trips usually depart the night before and show up on the grounds in the morning. Or have a prearranged 1 to 3 day trip, there is no catch limit on tuna. The charters usually troll with jig lures or fish with live bait. Westport is the only port on the West Coast to offer live bait fishing on any of their deep sea fishing trips. The average catch is 4 to 6 fish per day. The average albacore tuna weighs 12 to 25 pounds with an occasional fish over 30 pounds. Contact one of the Charter Boat Services to sign up for a trip. The halibut season can be very short so make plans in advance. Most halibut fishing trips take about 12 hours. The limit is one fish per person with the average halibut weighing in at 16 to 20 pounds but up to 140 pounds have been caught in the Westport area. A great day of halibut fishing. Be sure to check current information about Halibut fishing in the Westport area or contact one of the Charter Boat Services or the Washington Department of Fish and Wildlife for seasons and limits. Make sure to make reservations well in advance to advantage of the season which can be very short. 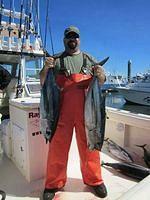 Bottom deep sea fishing trips target primarily Black Rockfish and Lingcod. These are a delicious white meat fish. Occasionally they catch other species of rockfish including Yellowtail and Quillback. These daily trips are approximately 8 hours in duration and are taken from mid-March through mid-October, 7 days per week. They usually leave early in the morning and return to the docks around 3 to 4 in the afternoons. 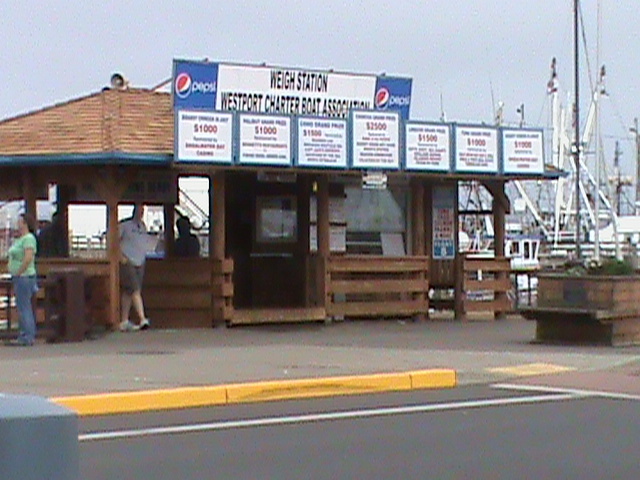 The rockfish limit is 10 per person. The Lingcod limit is 2. Rockfish range in size from 3-5 pounds. Lingcod range from 4 to 50 pounds. The average size is around 10-12 pounds. Rockfish limits are usually the rule on these trips. Lingcod fishing is best in the spring and early summer and then again in the fall. There are no quotas associated with these species. Live anchovy or frozen herring is used as bait. 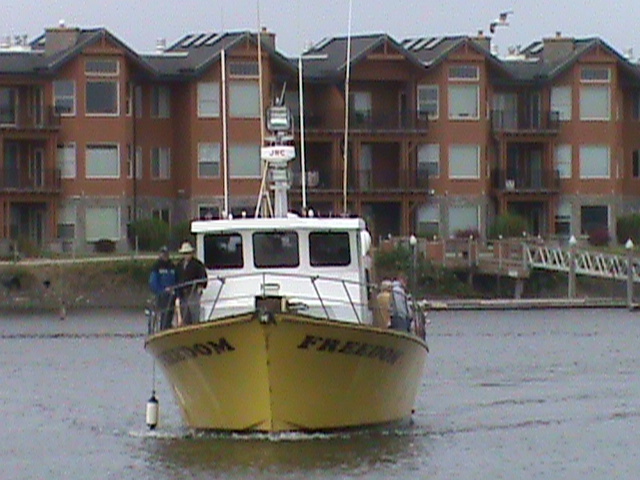 Salmon / Bottom fish Combo trips are also available on many vessels. Deck hands will usually fillet your catch for a fee. Local canneries will vacuum pack it as well for a fee. Most people catch their daily limits on these trips and can even double limit with both species if the fishing is hot. Always check the Washington Department of Fish and Wildlife website or the Westport Charter Boat Services for current information, regulations and limits. There is an annual Boat Basin Fishing Derby for the largest fish caught. 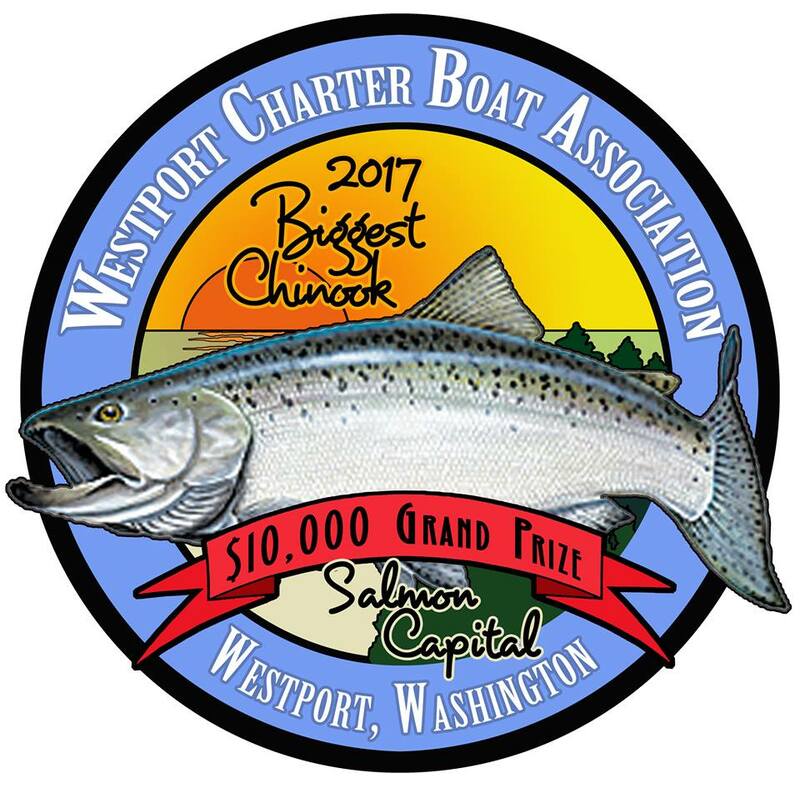 The Westport charter boat Association runs a deep sea fishing derby each summer with hundreds of dollars in prizes for the largest bottom fish, tuna, salmon or halibut. Tickets are sold prior to the day you fish. Good luck you may be the big winner. For those who prefer not to go deep sea fishing out on the ocean, there’s plenty of other types of fishing for all to enjoy. They include jetty fishing, surf fishing, and freshwater fishing or crabbing from the docks. Westport’s local Kiwanis Club raises baby salmon and release them into the Westport boat basin each spring. 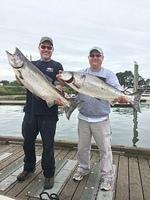 In the fall the Coho return to the basin providing great fishing opportunities. Many times they can be seen swimming in schools around the docks and Marina. Fishing from the Westport Marina's fisherman's wharf. 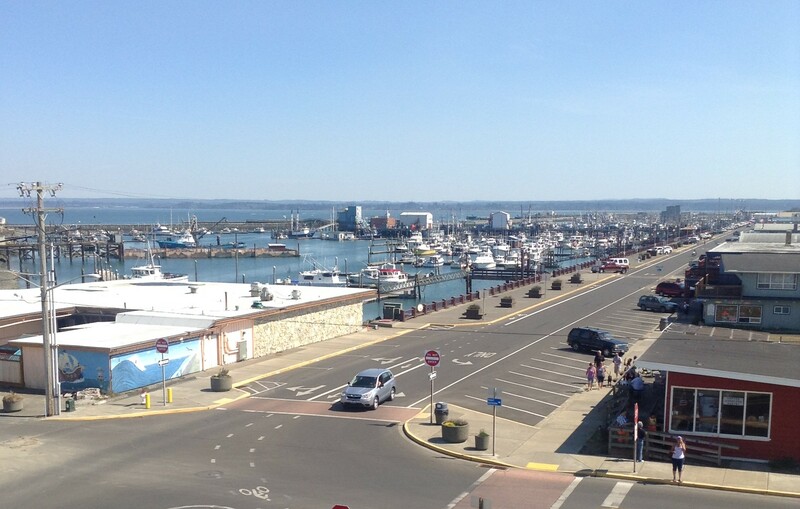 Take a stroll out to the fisherman's wharf to get a different view of the Westport Marina. AS you can see you can catch people fishing or crabbing from here also. 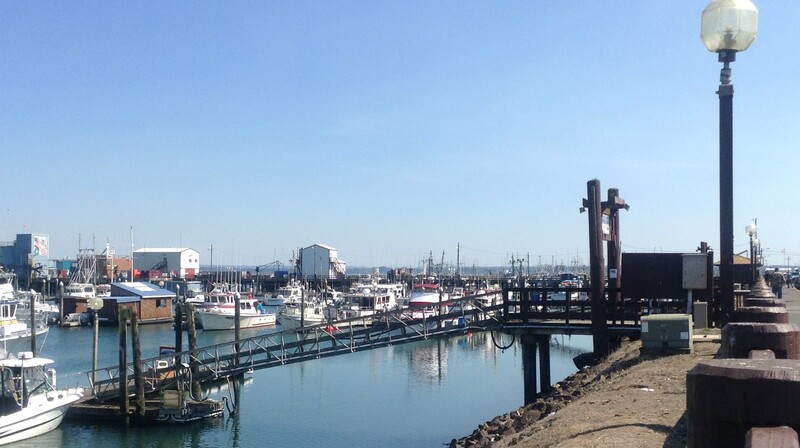 Many fishermen can be found along the south jetty fishing for numerous types of fish to be caught such as Perch, Ling Cod, Sea Bass, Greenling and Cabezon. They can be found along the South Jetty, and the rock revetments surrounding the marina. Fishermen use light to medium tackle with good success. Not sure what to use? The local businesses can assist you with information about the tides, tackle and bait to use and the best times to fish. There are many places to go surf fishing in the Westport/ Grayland area of the South Beach. Feeding schools of fish come in with the incoming tides which can make for some great fishing. Sea Perch can be found in abundance and checking with merchants in the area can offer advice on the best times to catch these fish. 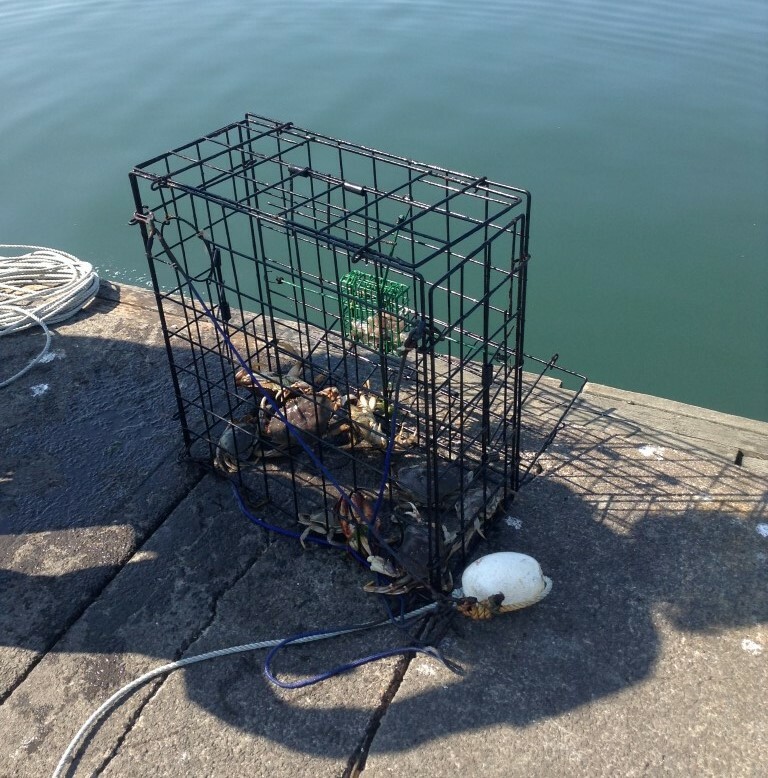 Many people enjoy recreational crabbing for Dungeness and Rock Crab right on the docks and piers right at the Westport marina. This is something the whole family can have fun doing. Nearby dockside businesses rent gear, sell bait and can answer questions regarding licensing, limits and availability. Dungeness Crab caught off the docks in the marina. 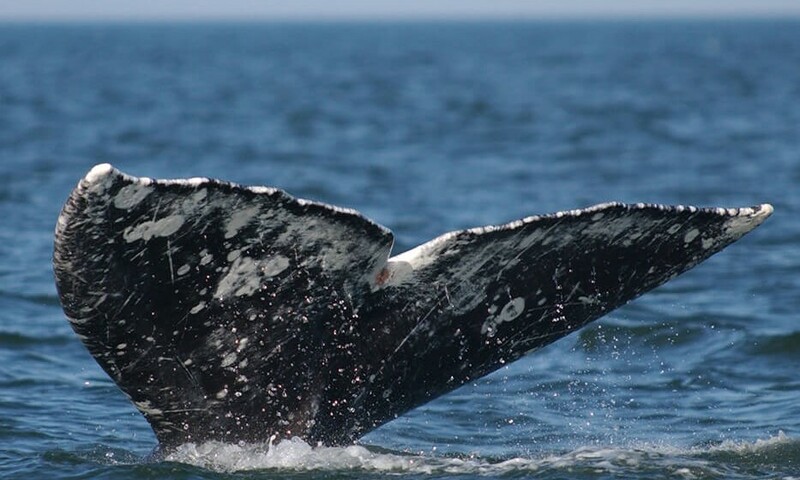 During March-May thousands of Gray Whales travel past Westport on their annual northern migration. They travel close to shore, allowing spectators to view them from relatively close proximity. So instead of deep sea fishing trips, whale watching trips are available allowing you to see them during this time, and usually last 2 hours with two daily trips- morning and afternoons. This is a great experience for the whole family and trips are inexpensive. Deep sea fishing not for you? Grays Harbor County is a hot spot for fishermen wanting to freshwater fish with numerous rivers loaded with fish. Always check with Washington Department of Fish and Wildlife for specific seasons, limits and locations. Subscribe to our newsletter and news flashes regarding Grays Harbor Beaches. We will not sell or transfer your email to anyone.